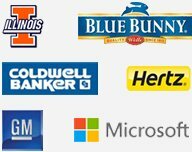 It is very rare that a marketer thinks about acknowledging contributions of a customer- on- go. 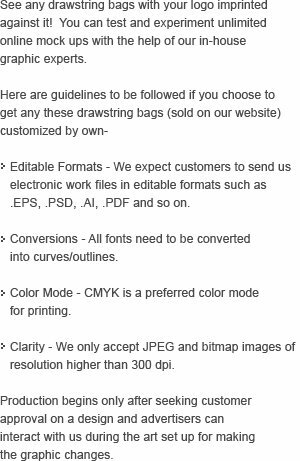 If you are one such marketer who have decided to recognize a customer –on-go, you can easily do it with this custom printed Vista cinch drawstring bag. This drawstring bag can be carried on shoulder or as a backpack due to its unique design. We offer it in exciting color profiles, and you can choose them accordingly. 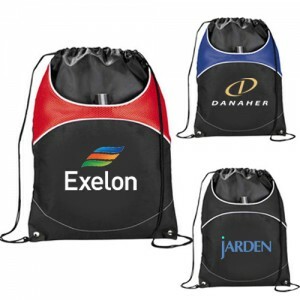 Request a quote to know wholesale price savings that you can expect by bulk ordering this personalized Vista cinch drawstring bag. Features – Open main compartment with cinch top. 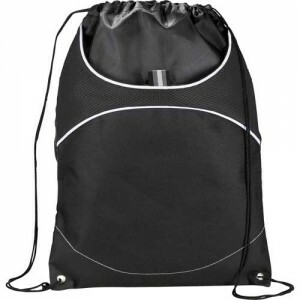 Drawstring design for shoulder or backpack carry. Features a large front Velcro pocket with mesh top.